Animal control says they have sited the owner of the dogs involved. INDIANAPOLIS -- The owner of two dogs that are accused of attacking an Indianapolis has been cited. 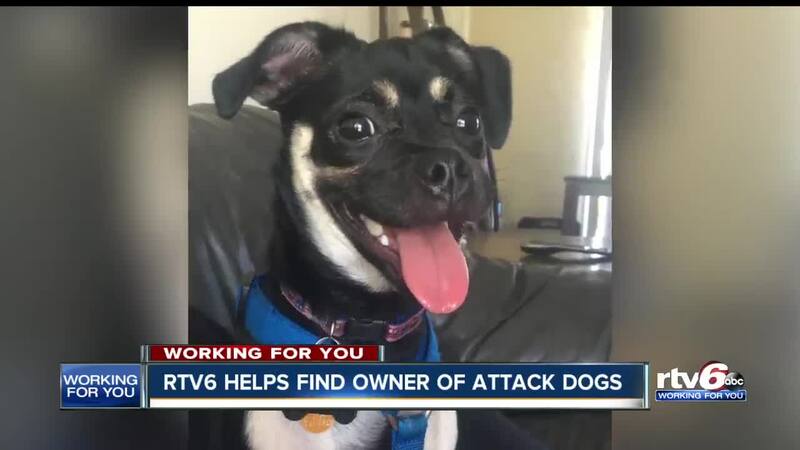 An RTV6 crew interviewed Brittany Klink on Oct. 2, discussing how her small dog, Vader, was killed when three dogs attacked it just days before. After the interview, we spotted a large dog running loose. Klink recognized the animal as one of three dogs that attacked her dog. "I promised my dog I would find who was responsible for this so it never has to happen to another family," Klink said. We took a photo of the dog's tag, and sent the info to animal control. The next day, animal control was back, with the owners getting cited for two of the dogs. They were cited for having loose animals and for the attack. A letter from the Knollton East Neighborhood Association warned residents about the dog issues. It says dogs are chasing kids on bikes and charging at people walking or working in their yards. RTV6 is not naming the owner of the dogs cited in the case because they have not been formally charged. But they were charged with having a loose animal two times within a year in 2016. The case was eventually dismissed because of problems with evidence.